Launch iMyFone AnyRecover on your Windows computer, and select "Lost Partition Recovery" mode. Once you select the "Lost Partition Recovery" mode, AnyRecover will start to scan your hard drive immediately for partitions. When the scan is complete, select the partition you want to recover and click the "Next" tab. If the AnyRecover didn't find your lost partition, please try "Overall Scan Your Partition" mode from the link at the bottom of the interface. You can select only one partition for recovery at a time. If AnyRecover found a large number of partitions in your hard drive, it will list them properly, and you can use the scroll bar on the right to find your partition. 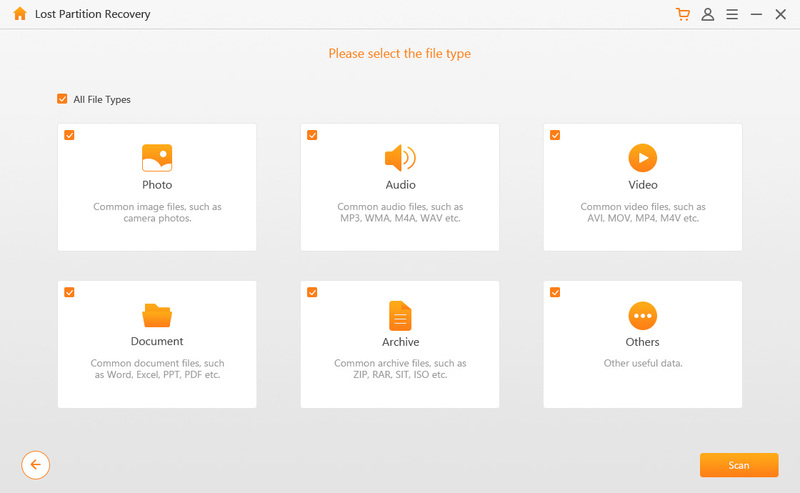 Now, you can select the file type you want to recover and click the "Scan" tab. 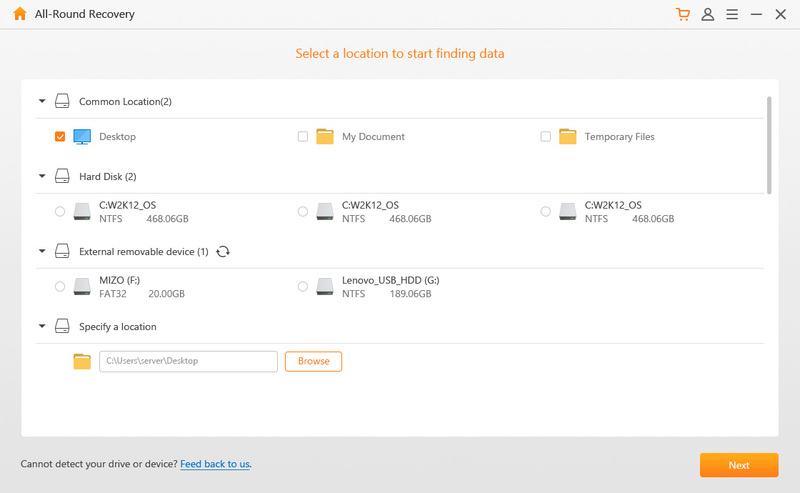 At this point, AnyRecover will take some minutes to scan for your lost files and list them with respect to file type. 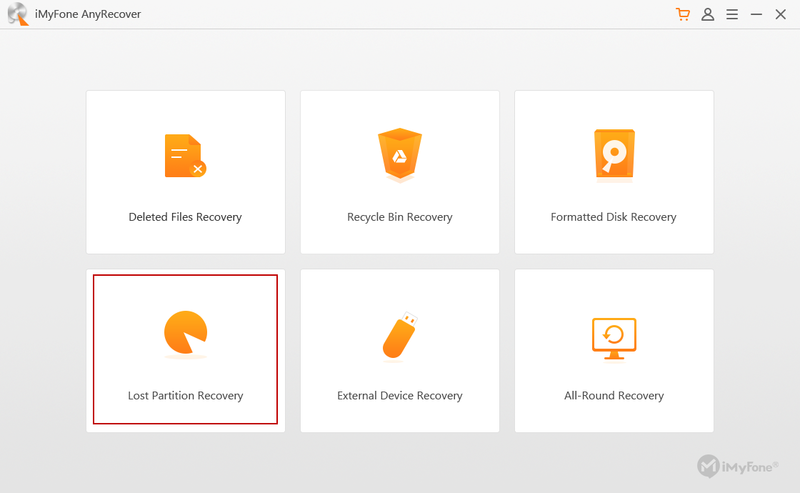 Select the files, click the "Recover" tab, and choose a target partition to save the recovered files. You can choose either "Files View" or "Tree View" to preview your lost, deleted, or formatted files. Ensure you don't save the recovered files in the partition where you lost them. If the "Lost Partition Recovery" didn't find your files, you can try again by choosing "All-Round Recovery" mode. From the Home interface, select "All-Round Recovery". 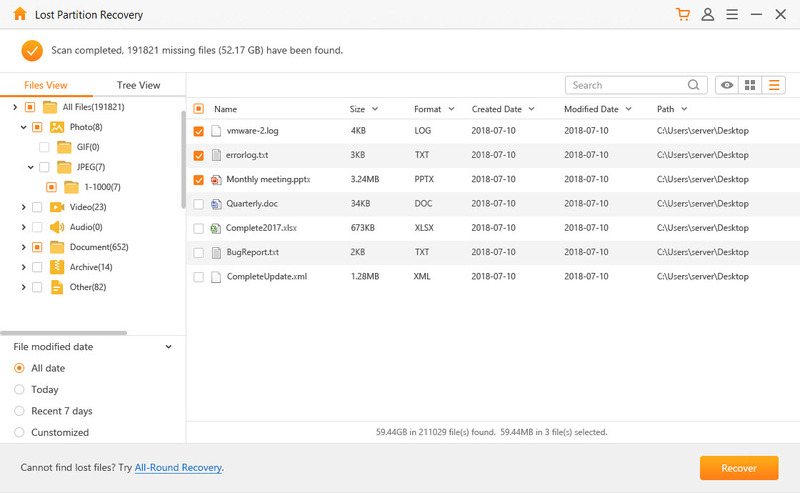 AnyRecover will perform a scan on your device, and display the lost partitions found. Choose the partition you want to recover data and click "Next" to scan for the lost partition. When the scanning is complete, preview through the list of your lost files and check for the files you want to recover. Then, click the "Recover" tab and select the target location to save it.